Meenu Chi Gostha- A girl who had everything! Today I will tell you a story. A story that is very close to my heart, a story that is not written down, a story you won’t find in any book. 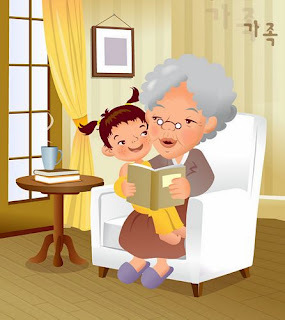 It is a story my Aaji(Grandmother),creatively conceived and narrated to me throughout my childhood. This story will stay with me for the rest of my life, it will be passed down to my kids and grandkids, but it will be remembered as Aaji’s “Meenu chi gostha” a story about a “Girl named Meenu, who had everything”. Its been a year this month since Aaji passed away and I haven't stopped missing her, infact I still think she is back home waiting for me. I know we will meet again in this life or the next. I started writing this story last Dec as I was missing her a lot, I was too vulnerable so I did not publish it then but today I feel like I am ready to share. 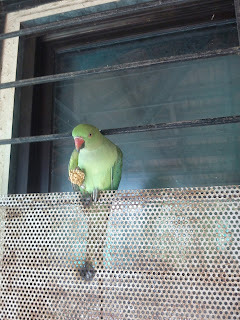 As I was writing this story over the last year, we started having a new visitor at my Mom's place. 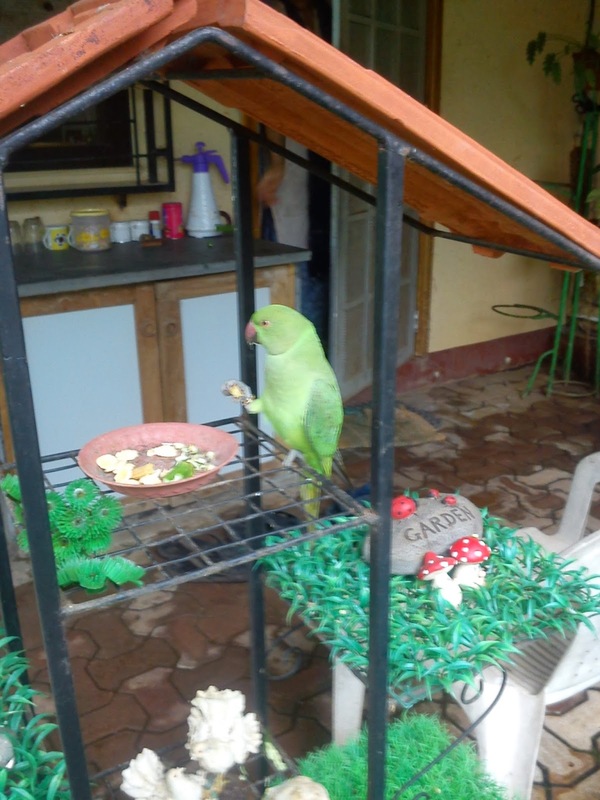 Yes this parrot came to our garden one fine morning in July, around my birthday, and has never left. So now I know there is some energy or connection to the universe and when you want something or miss someone and they miss you too, they find a way to connect with you. They want you to know, they are watching over you and that they love you. The pictures in this story are real, they are of "mithoo" having breakfast everyday at my Mom's house. He visits the garden every morning, spends time around the house, goes for a flight during the day and returns at night to sleep on his bed. As unreal and bizzare as this sounds, it is true. Now I know, when Aaji composed this story, the girl in the story was her. She imagined her childhood and described it as she would have wanted it to be. And when you have happy memories or an imagination that is filled with love and compassion, your life becomes fulfilled and happy. I love you Aaji, you were the best and will always be the most beautiful, loving and caring Aaji! I wish we had more time together but I am glad you are with Nana and looking over us. Once upon a time, in a quaint little town, lived a girl name "Meenu". 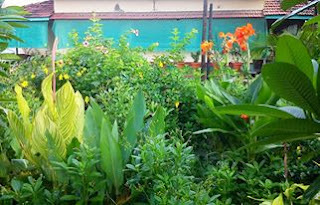 Meenu lived in a beautiful house surrounded by trees, with her Aai (Mom) and Baba (Dad). Anyone who met Meenu immediately fell in love with her. She was smart, studious and kind hearted. She had many friends, but never had a best friend. 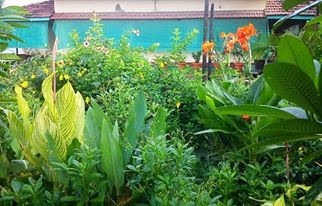 Every day Meenu would sit in the garden after school and study. Aai would then call her inside for afternoon tea. Meenu would run to the kitchen, grab her snack and chocolate milk and run outside to gulp it down, while playing on the swing. 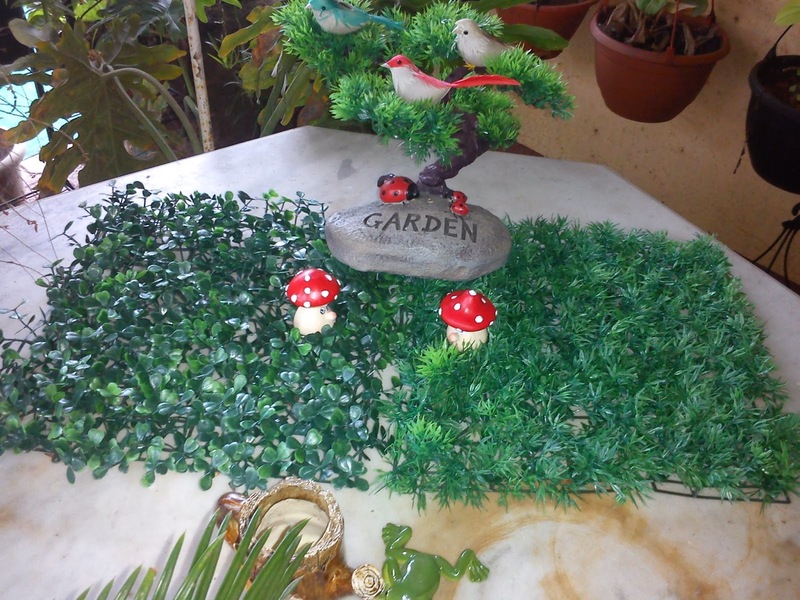 Meenu loved to be amongst the quiet and calm of nature, listening to the birds chirp and leaves ruffle. She would then get back to her books. On one such day when Meenu was busy with her books, she was distracted by a very sweet voice; it felt like someone was calling her name from a distance. She looked around, went to the front porch to see if her friends were looking for her, but there was no one there. The next day she was more alert, in case her friends decided to pull another prank on her. 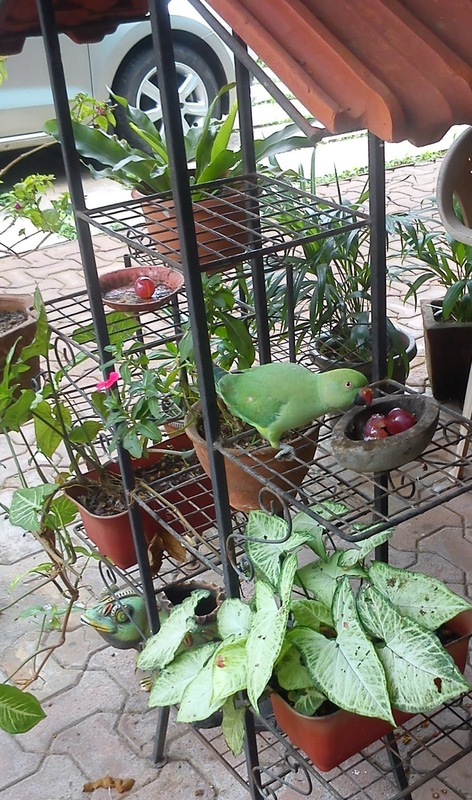 As usual, Mom called out to Meenu, to grab her snacks. As usual she ran out side with her snacks and milk and sat on the swing. That’s when she heard her name being called “Meenu, Meenu...” and this time she was sure there was someone hiding up in the trees. So she looked up, and to her surprise saw a beautiful green parrot with a cherry red beak, looking down at her with a warm, friendly smile. Meenu was taken aback, she gathered some courage and spoke very softly, “hello Mithoo, is that you calling me?” The Parrot perched down on to a branch that was closer to the ground and replied in the sweetest tone, Meenu had ever heard. 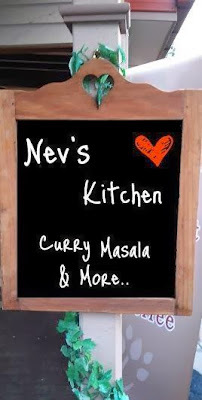 “Hi lovely Meenu, yes it was me who was calling you yesterday and today. I just wanted to say hello to you. I have been residing on this tree for a few days now and I noticed you sitting on the swing, doing your homework, sipping you chocolate milk every day and I couldn’t resist saying hi to you. You are the most sincere, pretty and friendly little girl I have ever met.” Just then Aai called out to Meenu, as it was getting dark and was almost supper time. Meenu apologized to Mithoo and ran inside with her books, totally surprised by what had just happened. 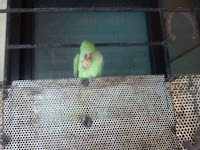 Meenu woke up the next morning eager to go to school and return home to see Mithoo. After she finished her homework, Mithoo flew down and perched on Meenu’s colourful rug. Meenu had so many questions for her new friend. Meenu was curious about one thing, how did he know her name so she asked him, to which Mithoo said he had heard Aai call out to her every day and that’s how he knew her name. Meenu's face lit up and she was so excited to meet her new friend. Meenu knew she had finally found her best friend. From that day as Meenu would gulp down her chocolate milk, Mithoo would feast on a big red chill that Meenu plucked from Aai's vegetable garden. They would sit on the swing and talk about Meenu's school and Mithoo's forest adventures. Meenu would then finish the rest of her school work and teach Mithoo what she had learnt at school. They were best friends now! 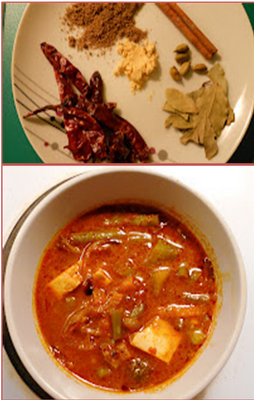 As seasons changed, it was soon time for Meenu’s birthday. Her parents started making big plans for her party. Meenu was also getting excited and she couldn’t wait to tell Mithoo about her oncoming party. Invitations were sent out to all her friends and Aai started making delicacies for her birthday party. So as preparations were going on in full swing, Meenu went out to the garden, sat on the swing and started on her homework, trying to finish most of it before Mithoo called her. As soon as she heard ruffling of the leaves, she looked up and called out to him with the biggest smile on her face, he flew down elegantly and sat next to Meenu on her colorful rug nibbling on some red chilli that Meenu had laid out for him. Meenu carefully placed her party invitation card next to him. This made Mithoo feel very special and he knew he had made a great friend for life. 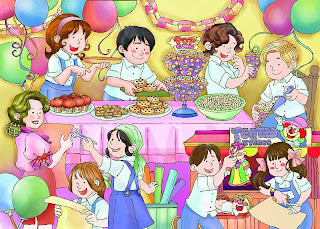 He thanked Meenu for the invitation and said he would be there to wish her happy birthday and would not miss it for the world. He said good bye & told her that he will not be coming to her house for the next two days & would see her directly on her birthday. 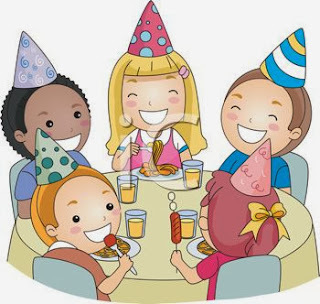 Party was in full swing, all her friends started to arrive, wishing her happy birthday, hugging her and she graciously accepted the presents and placed them in the corner, all the time looking over her shoulder to see if her best friend had arrived. She had a special chair set out for Mithoo and no one was allowed to sit on it & everyone started wondering who this friend was. 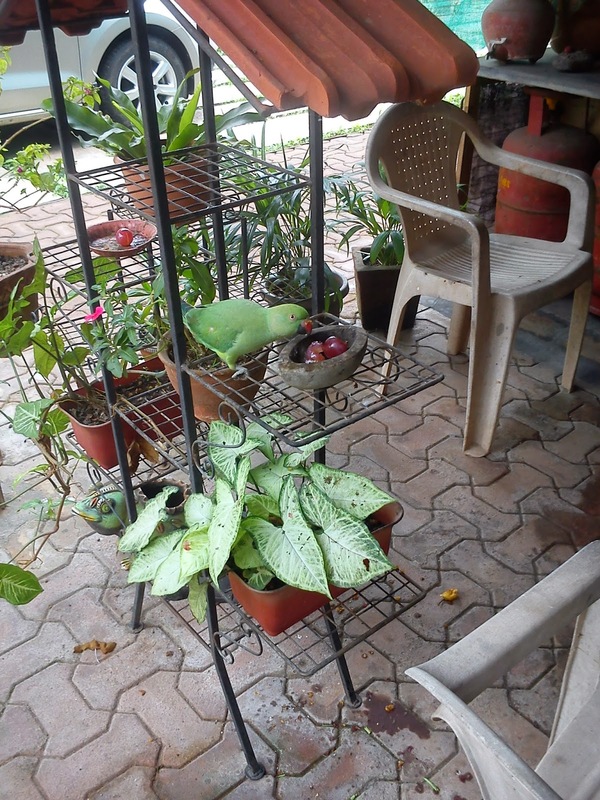 Even Meenu’s Aai was getting curious about her daughters mystery friend. For the last two days while Meenu’s family were busy planning for the party, deep in the jungles Mithoo was looking for the perfect gift or Meenu. He was getting anxious & worried as he wanted to bring her the most delicious red guavas he had once eaten in the jungle. He flew far and deep into forest for days to try & find those guavas. Mithoo was getting worried now as he had very few hours left before he had to head back to the city to be at the party. 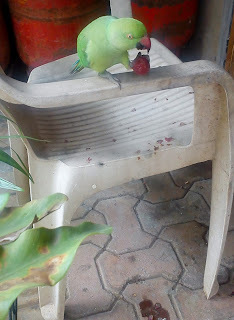 He had gone too far in the search for the perfect gift for Meenu, but was happy that he had found a bag full of the most delicious guavas for his best friend. When Mithoo arrived at the party Meenu hugged him and introduced him to all her friends. Mithoo had never expereinced such warmth and love before. It was time for Meenu to cut her cake, while everyone sang Happy Birthday. Aai served the guvavs on a large plate for everyone to enjoy and as Mithoo finished his cake, all the kids finished the guavas and thanked him for such a wonderful treat. Meenu had found her best friend and they continued to be friends and lived happily ever after.